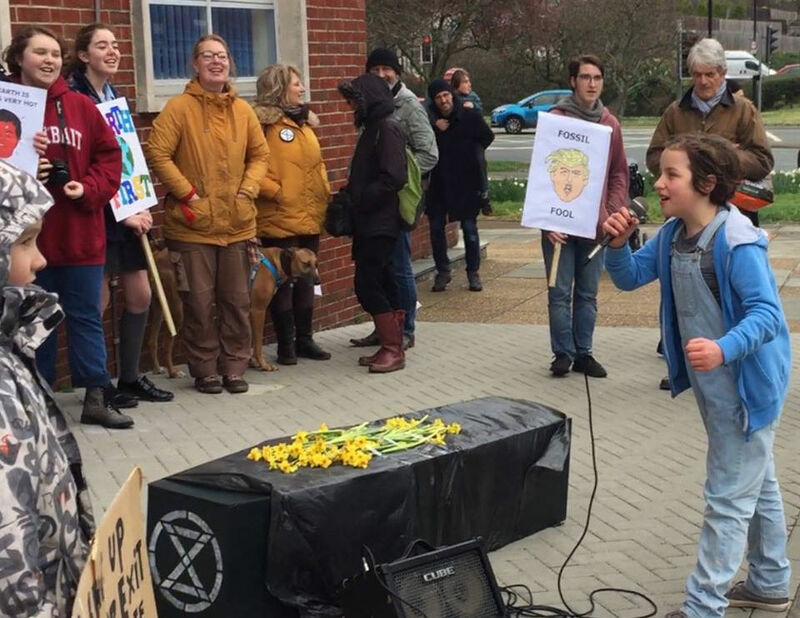 Young Islanders were not deterred by Cllr Hobart’s announcement that Isle of Wight council will not declare a climate emergency. They showed their feelings after school outside County Hall last week. 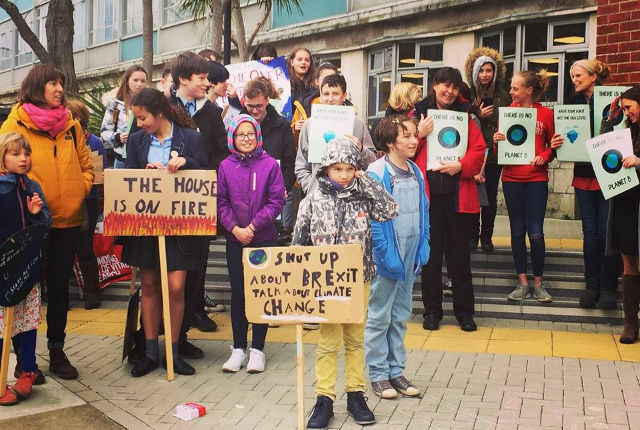 More than 70 Islanders, including 40 schoolchildren, gathered outside County Hall on Friday to protest against climate change. However, the Isle of Wight Council has said it will not declare a climate emergency. Among the protestors were the school council from the Bay CE School, accompanied by their headteacher. “I feel governments aren’t doing enough about climate change, and we need to unite as young people and do as much as we can. So far, 39 councils — including nine Tory administrations — have declared a climate emergency, including the Greater London Authority, Devon County Council and Edinburgh City Council. However, cabinet member for environment and heritage, Cllr John Hobart, said there were no plans to follow suit on the Isle of Wight. Cllr Hobart said the council had other priorities and was already involved in a number of initiatives to help the climate. “This was part of the second UK Youth Strike 4 Climate, which was inspired by Greta Thunberg and the Fridays For Future campaign. “The action was facilitated by XRIW to give concerned youth on the Island an opportunity to be heard and express their concern in light of the climate emergency. 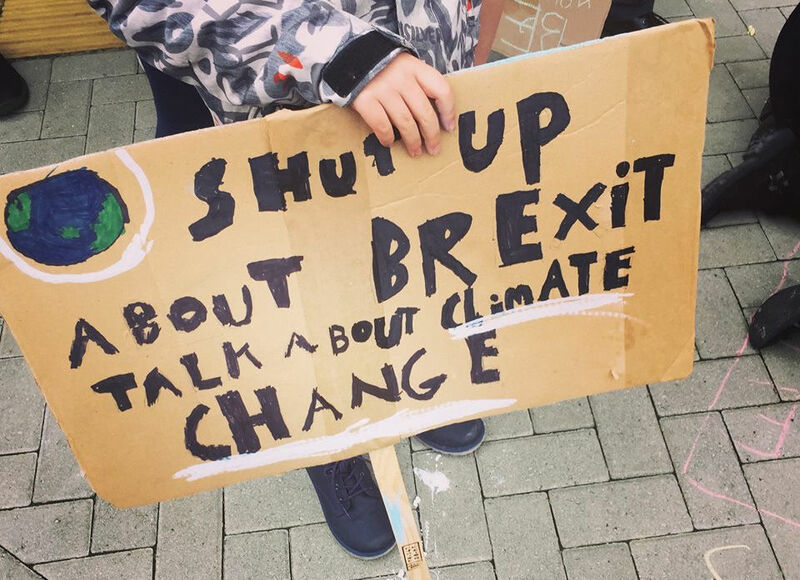 5 Comments on "Young Islanders call for ‘Climate Justice’ outside County Hall"
Clearly the children did the homework and Cllr. Hobart hasn’t. Steve, with respect, it is unwise to attach too much credibility to anything Gove says. He is a politician of the worst kind. And like brexit there are many, often opposing views; calling OTW posters ignorant dowsn’t help your cause just because they hold a view different to your own.